Located in the serene Fort Collins, Colorado area, Courtney Park Apartment Homes is an intimate community in a pristine and engaging environment. 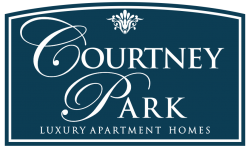 Courtney Park's ideal location places you within close proximity to the area's best shopping, dining and entertainment. Courtney Park offers a number of spacious one and two bedroom floor plans to choose from. Experience the luxury of living in a comfortable home with brand new amenities and improvements. Wood-type floors and washers and dryers are just a few of the standard upgrades included with every apartment. Come see the newly renovated Courtney Park today!